Imagine taking a 10 day cruise to the Caribbean on a luxury liner without any radar, communication devices, GPS systems or human Navigators on board. Do you really think you will reach your vacation destination safely and on time? Having this knowledge beforehand would be an essential ingredient when deciding to take that cruise or not. Even if the ship had all the electronic devices on board, I would still hesitate taking the cruise without a human navigator present. A navigator is the person on board a ship responsible for its navigation. The navigator’s primary responsibility is to be aware of the ships position at all times. Responsibilities include planning the journey, advising the ship’s captain or commander of estimated timing to destinations while en route, and ensuring hazards are avoided. The navigator is in charge of maintaining the aircraft or ship’s nautical charts, nautical publications and navigational equipment, and generally has responsibility for meteorological equipment and communications. Having a Navigator for your Financial Journey is just as essential. 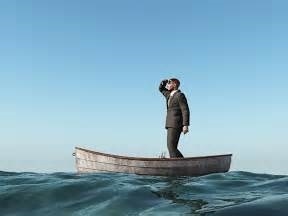 Without the proper guidance, tools and systems in place, your financial journey could become choppy, misguided, interrupted, lost or even sunk. Most people do not understand the rules of engagement for a secure and stable financial life. Without understanding the proper systematic process or the implementation of sound financial principles, most people will struggle living paycheck-to-paycheck every day of their lives. They will wake up in their retirement years and regret that they didn’t do more to bring financial security to their lives. All it takes my friends is the correct knowledge, commitment, and the will to say enough-is-enough. You do not need to wake up one day with regret and you do not need to continue to live with the constant worry that financial crisis is just one missed paycheck away. Stand up today so you can be free tomorrow. We have a team of Navigators standing by to help you achieve financial freedom.